If you are looking for professional, reliable and great value plant machinery hire in Worcester, then let James Grove Ltd help. With 40 years in the business, we have the experience and knowledge to ensure you get the equipment you need at the lowest price. If you have never hired plant or machinery before, you may wonder why it is a good idea so let us explain. What are plant hire services and why might you need them? Simply put, plant hire services allow customers to avoid the expense of having to buy equipment such as diggers for any projects they may be working on. 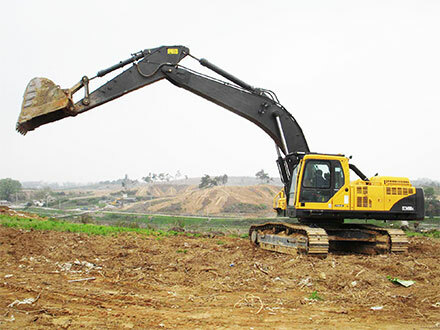 Many groundwork projects such as land clearing or land development require plant machinery so if you are involved in this type of work, you will need somewhere reliable and professional to hire the latest equipment from. Plant hire with a qualified operator? When you hire plant machinery, it will be supplied with a qualified and skilled operator.. Rest assured all our clients are fully protected by our £2.5 million public liability insurance whatever you hire and we are fully compliant with all current Health and Safety Legislation. JCB 3CX Hire (with or without breaker) – this is one of the most popular machines James Grove Ltd hires out and it’s easy to see why. Powerful and able to handle any groundwork jobs you can throw at it, we also offer the option of hiring with or without a breaker. 360 Digger Hire – able to pivot fully on a tracked base, this machine offers stability along with power. Ideal for digging trenches and holes, the long arm and large bucket will breeze through any job. Dumper Hire – if you need a sturdy, reliable dumper for transporting construction material around a site, then you’ve come to the right place. All our dumpers offer a hydraulic open-box bed to make it easy to tip your load out accurately. Tractor Hire – many projects or sites need a machine that can work on uneven surfaces and pull a trailer or other machinery behind it. The tractor is the perfect vehicle for this and can handle even the toughest of on-site jobs. Tractor and Trailer Hire – if you need a top quality trailer at a great price, then James Grove Ltd can help. Will be ideal for transporting any heavy load. At James Grove Ltd, we pride ourselves on offering excellent customer service and being able to answer all your plant machinery hire needs. Al our machinery is kept in top condition and is the latest equipment out there. Get in touch today via email or telephone for a free quote and see how we can help! For the best value plant machinery hire in the Worcester area, Give us a call on 01905 754 296 / 07768 034 323 today. Or, email info@james-grove.co.uk for a free, no-obligation quote.